Property in Belgaum, Belagavi uttar kannada. Real Estate Belgaum, Buy, Sell and Rent Best Residential Properties in Belgaum by Real Property owners, Dealers, Builders and Real Estate Agents in belagavi. Houses For Sale Belgaum - Find Apartments in Belgaum, flats for sale in Belgaum, villas for sale in Belgaum karnataka state. Post free classified ads for sale residential or commercial, plots lands here. Thinking of buying 1 BHK apartments/houses in Belgaum Karnataka State? Our Double bedroom flats listings are 100% genuine properties with real photos details. Find 1 BHK / Bedroom flats in Belgaum Belagavi within your budget on gruhkhoj.com, India's No.1 Real Estate Portal. Get complete details of property specifications . Find properties for sale in Belgaum within your budget on gruhkhoj.com, India's No.1 Real Estate Portal. Get complete details of property specifications & related brochures free. Belagavi properties for sale, Residential Properties for sale in Belgaum Real estate in Belgaum for sale, 1 bhk 2 bhk flats in Belgaum for sale, property for sale in belgaum property rates, commercial real estate belgaum area, flats for sale in Belagavi/belgaum city. Gruhkhoj.com - is property portal in belgaum belgavi, online property sites in belgaum karnataka. Buy 2 BHK Flats in Belgaum. Get details of 2 BHK Apartment For Sale in Belgaum at gruhkhoj. About Belgaum / Belagavi District :- Belgaum - earlier known as Venugrama or the Bamboo Village- is one of the oldest, and well cultured historical place nestling high in the Western Ghats - lies in the zone of cultural transition between Karnataka, Maharashtra and Goa. Due to its proximity with the states of Maharashtra and Goa, Belgaum has acquired the cultural flavour of these states and blended it with the local Kannada culture to create a rich heritage. It is also known as Malenadu or Rain Country and the vegetation here is verdant green throughout the whole year. Belgaum has now become one of the important and considered district in the state of Karnataka. Belgaum is now marching with a tag of fast growing, redeveloping district with a population of approximately over 42,07,264. and is exactly at the center between Mumbai and Bangalore metrocities... Belagavi is a city - a municipal corporation in district in the state of Karnataka India. It is the fourth largest city in the state of Karnataka, after Bengaluru, Mysore and Hubli-Dharwad. City is located at 15.87 N 74.5 East. The city is in the northwestern parts of Karnataka State and lies at the border of two states, Maharashtra and Goa on the western ghats (50 km from the Goa state border). It is one of the oldest towns in the Karnataka, lying 502 km from Bangalore, 515 km from Hyderabad and 500 km from Mumbai. Belgaum district comprises 1278 villages with an area of 13,415 sq.km and a population of around 4.8 million according to the census of yr 2011. Belgaum is situated near the foothills of the Sahyadri mountain range (Western Ghats) at an altitude of about 779 m, 100 km from the Arabian Sea with the Markandeya river flowing nearby. It is also the headquarters for the division that comprises the districts of Bagalkot, Bijapur, Dharwad, Gadag, Haveri, Uttara Kannada. The Karnataka Government has proposed making Belgaum the second capital of the State of Karnataka and second state administrative building Suvarna Vidhana Soudha was inaugurated on 11 October 2012. ಬೆಳಗಾವಿ (ಬೆಲಾಗವಿ, ಬೆಲ್ಗಾವಿ ಮತ್ತು ವೇಣುಗ್ರಾಮ ಅಥವಾ "ಬಿದಿರು ಗ್ರಾಮ" ಎಂದೂ ಸಹ ಕರೆಯಲ್ಪಡುತ್ತದೆ) ಕರ್ನಾಟಕದ ಪಶ್ಚಿಮ ಘಟ್ಟಗಳ ಉತ್ತರ ಭಾಗದಲ್ಲಿದೆ. ಇದು ನಾಮಸೂಚಕ ಬೆಳಗಾವಿ ವಿಭಾಗ ಮತ್ತು ಬೆಳಗಾವಿ ಜಿಲ್ಲೆಯ ಆಡಳಿತ ಕೇಂದ್ರವಾಗಿದೆ. ಕರ್ನಾಟಕ ಸರ್ಕಾರವು ಕರ್ನಾಟಕದ ಎರಡನೆಯ ರಾಜಧಾನಿಯಾದ ಬೆಳಗಾಂನ್ನು ತಯಾರಿಸಲು ಪ್ರಸ್ತಾಪಿಸಿದೆ, ಆದ್ದರಿಂದ ಎರಡನೇ ರಾಜ್ಯ ಆಡಳಿತ ಕಟ್ಟಡ ಸುವರ್ಣ ವಿಧಾನ ಸೌಧವನ್ನು ಉದ್ಘಾಟಿಸಿದರು 11 ಅಕ್ಟೋಬರ್ 2012 ವರ್ಷ. ಲೋಟಸ್ ಕೌಂಟಿ ಲೋಟಸ್ ಹೆಗ್ಗುರುತುಗಳು ಇಂಡಿಯಾ ಪ್ರೈವೇಟ್. ಲಿಮಿಟೆಡ್ ಬೆಳಗಾವಿ, ಭಾರತೀಯ ವಾಯುಪಡೆಯ ಮೈದಾನ ಬೆಳಗಾವಿ . Description :- Get details of all Residential Commercial property for Sale in Belgaum. Latest Belgaum property rates 2019 year & listings of multistorey apartments office Space, showrooms, Commercial shops for sale in Belgaum city. 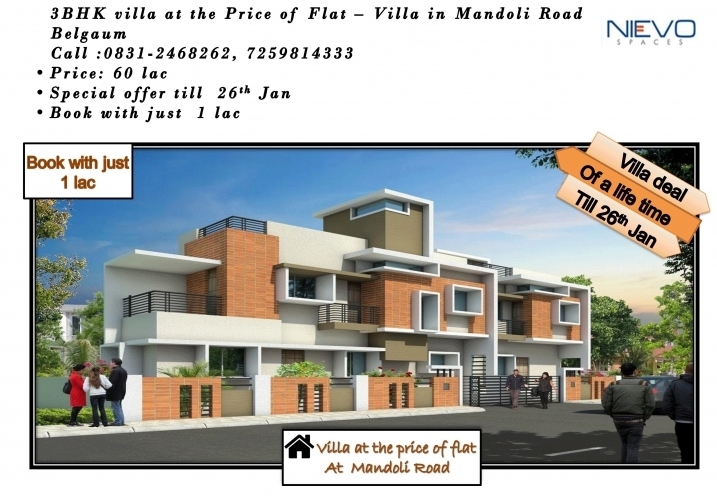 Best Price Residential 1, 2, 3 BHK Flats, Row Bungalows, Penthouse, Row House in Belgaum city. RERA Projects in Belgaum : Find Maha RERA approved projects for sale in Belgaum district. Commercial Property, Konkan Properties - Non Agriculture Lands and Clear Title N A Plots, Open Plots in Belgaum, Holiday Resorts, Farm House Second Homes - Weekend Homes in Belgaum. Search New upcoming residential projects in Belgaum real estate market, Vastu /gruha parkalp, housing schemes within your budget at Gruhkhoj.com. It is a base and medium for prospective buyers across the globe who wishes to search, Find Property, Commercial Space, Dukan Gala, big showrooms, multi-story apartment buildings, ownership flats, township projects, Luxurious Villas- row bungalows / independent houses for sale in Belgaum India. Fully Furnished, Semi Furnished 1 HK,1rk to 4 BHK flats in Belgaum, low budget 2 bhk flats in Pune / 3 BHK Penthouse in Pune. Best Deals starts from Rs. 15 - 30 Lakhs onwards for flats.Search details of Builders expo / Credai Property Exhibition in Belgaum - all Prices Trends and Property News in Belgaum. Buy 2 BHK Ready to Move in multistorey apartments in Belgaum from ? Verified listings ? Real photos ? Maps & much more on Gruhkhoj. Find Triple Bedroom / 3 BHK flats in Belgaum within best area and prime locations nearby School, Colleges, Hospitals, Market, Shopping Mall. Villa/Independent House in Belgaum city with parking, gate, garden etc.